Spring JDBC, there are multiple ways to create data base by using like JDBC, IBATIS, Hibernate, JPA, JCA.DAO plays the crucial role to communicate with Data base by querying the request. It returns the data in the form object that required by the service layer. The advantage of DAO are as follows. Application is independent of the data access techniques and database dependently. It offers loose coupling with other layers of application. Allows to unit test the service layer using mock objects with out connecting to data base. Poor exception hierarchy like SQLException, DataTruncation, SQLwarning, BatchUpdateException. Spring exception hierarchy overcome this problem and advantages are as follows. More elaborate and detailed exception. Exception not specific to an API. can be used with any ORM and data access API. Iterate the result set and get the values. Commit the transaction and Rollback when transaction occurs. The JdbcTemplate is available in inorg.springframework.jdbc.core package, it overcomes the problem of JDBC.This class provides the following benefits. Avoids common problems such as closing the connection. It executes queries , updates or stored procedures. It catches SQLExceptions and translates them into unchecked exceptions. To proceed with the example developer has to create one table like as follows. While proceeding with coding in Eclipse, required jar files needs to be added and JDBC latest libraries like mysql-connector-java.jar, org.springframework.jdbc.jar, org.springframework.transaction.jar in the project. Include DAO interface studentDAO, student table should be created in test database. * total files from the table. * a file into the table. Here just created the data members such as age, name, id and also performed SET and GET operations to get the data. RowMapper interface allows to map a row of the relations with the instance of user-defined class. It iterates the ResultSet internally and adds it into the collection. So we don’t need to write a lot of code to fetch the records as ResultSetExtractor. RowMapper saves a lot of code becuase it internally adds the data of ResultSet into the collection. This is the implementation class file StudentJDBCTemplate.java for the defined DAO interface StudentDAO. Add Spring JDBC specific latest libraries mysql-connector-java.jar, org.springframework.jdbc.jar and org.springframework.transaction.jar in the project. The Application Context is spring’s more best in class holder. Like BeanFactory it can stack bean definitions, wire beans together and administer beans upon solicitation. Also it includes more enterprise-specific usefulness, for example, the capacity to determine literary messages from a properties document and the capacity to distribute application events to interested event listeners. 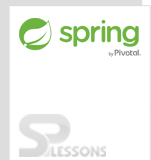 This container is characterized by the org.springframework.context.ApplicationContext interface. Make sure that data base connector needs to imported to the code. Spring JdbcTemplate is a powerful mechanism to connect to the database and execute SQL queries. It internally uses JDBC api, but eliminates a lot of problems of JDBC API. Spring JDBC Template class to handle with integration of jdbc. Spring JDBC Template class manages releases and creation of resources. Spring JDBC Template class resolves the common error like always forgetting termination of code.